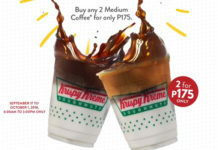 Celebrate Mother’s Day in Star City! 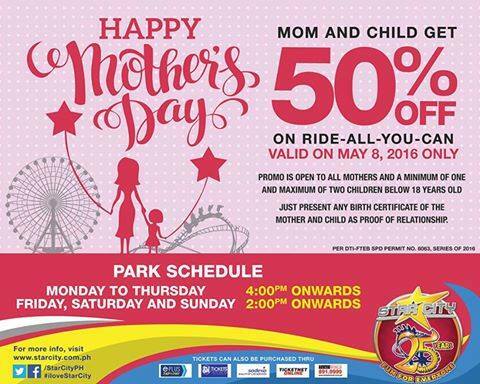 Moms and two of her kids under 18 can avail of the 50% discount on Ride All You Can tickets on May 8, Mother’s Day! Don’t forget to bring birth certificates as proof of mother-child relationship.